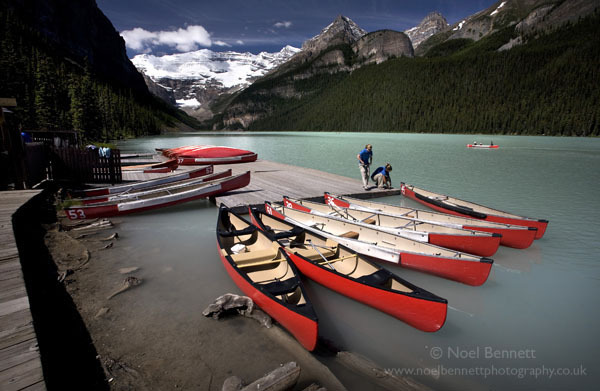 The first time we visited Lake Louise there was know one around. It was in raining very hard mind! But now the sun was out and my lads, Alex and Greg couldn't wait to explore the scenery, while Chris painted and I got the camera out again.